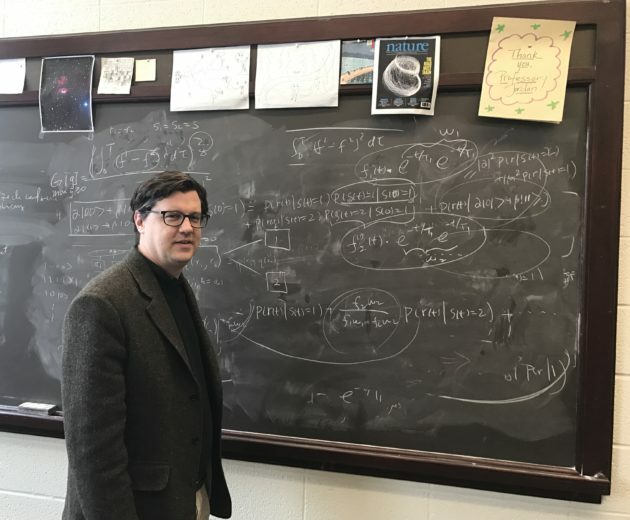 Two professors in the Department of Physics and Astronomy—Alice Quillen and Andrew Jordan—have been awarded prestigious Simons Foundation Faculty Fellowships in theoretical physics. Simons Fellows take research leaves from classroom teaching and administrative obligations to pursue collaborative research ventures that enhance creativity and provide intellectual stimulation. Both faculty members will be on leave for the 2017-18 academic year. Quillen will study galactic dynamics, planetary science, and celestial mechanics to better understand the stability and evolution of multiple-planet systems. 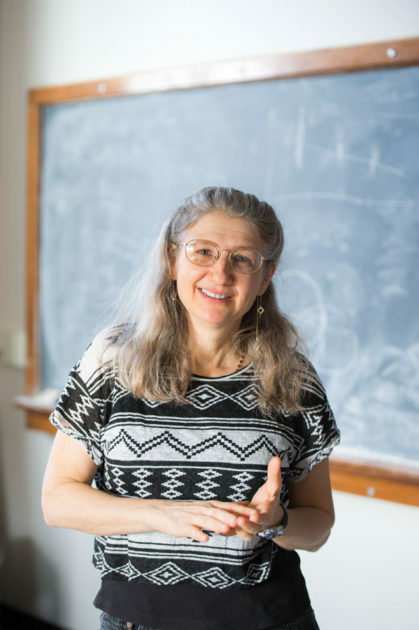 She will further her research on the tidal evolution and elasticity of moons and planets using the new astro-elastodynamics model she developed. Her research interests will take her to the Nice Observatory in France and the Mount Stromlo Observatory in Australia to work with experts analyzing data from the European satellite GAIA. GAIA launched in 2013 and periodic data releases are scheduled during the duration of the satellite’s approximate five-year mission to construct the largest space catalog to date. GAIA had its first data release in September 2016, so Quillen notes this is an especially opportune time to have received a fellowship. Jordan will further his research in quantum information, thermodynamics, and foundations. He plans to spend most of his leave in California, working with colleagues at UC Berkeley and the Institute for Quantum Studies at Chapman University in Orange, California, as well as visiting colleagues at Parisian universities. At Berkeley, his projects include studying continuous quantum error correction in superconducting quantum computing; at Chapman, he will explore questions regarding time in quantum mechanics. Jordan will also work with colleagues in Paris on research in quantum thermodynamics, essentially “constructing heat engines that work on the microscopic level,” he says. The Simons Foundation was cofounded by Marilyn and James Simons, a SUNY Stony Brook mathematician and founder of Renaissance Technologies. The Foundation seeks to advance research in mathematics and science by creating strong collaborations and fostering cross-pollination of ideas between investigators, as these interactions often lead to unexpected breakthroughs and new understanding.